Liverpool rockers Clinic have been making weird, delightfully synthesized music since the ‘90s. 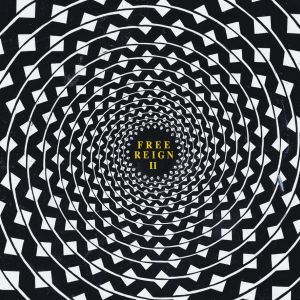 For their eighth LP, the band has done something a bit different—revisit last year’s Free Reign to give each song a fresh twist. For other acts, such an endeavor would come across as a simple remix album. However, this isn’t some vanity project to let famous DJs reinterpret each song separately. Instead, the band allowed experimental musician and producer Daniel Lopatin (Oneohtrix Point Never) to fully explore his vision for Free Reign. The result feels like an album and lets the band delve into psychedelic dub and vintage fuzz. Opener “Sun and Moon II,” for instance, feels like The Doors reincarnated. “Cosmic Radiation II” has an immediate ‘70s jam band feel with distorted guitar, heavy cymbals, and confident horns. “See Saw II” features dizzying instrumentation, plentiful echo, and psychedelically muddled vocals. At once feeling new and old, vintage and fresh, Free Reigns II may attract the electronic set while remaining loyal to Clinic’s fanbase. Ultimately, there is no comparison for a band like this, but there is also no limit to the wonderfully strange music they can create (and recreate).